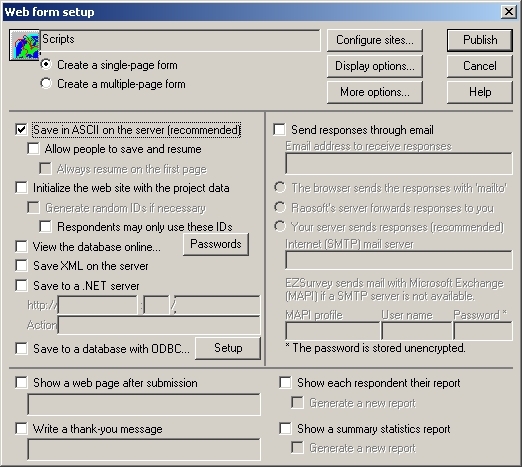 This is the Web form setup window. Here you can select many of the publishing options for your questionnaire. Click Appearance options if you want to customize the page's appearance, otherwise you can click Publish.